As a basis for what I’m going to talk about, I used the NMC Horizon Report 2016. There are six technologies that are projected to enter mainstream educational use in the short term (1-2 years), mid-term (2-3 years), and longer-term (4-5 years). How do we define educational technology? We can define educational technology as tools and resources used to improve teaching, learning, and creative enquiry. I think that final point is crucial here. It’s crucial because in higher education, we’re not simply teaching and learning existing information and skills; we’re researching and creating the information and skills that may become the building blocks of the future. It’s how we propel ourselves forward as a global society. These tools, while not necessarily developed initially for education, can hopefully be applied in a number of disciplines to push the envelope in that field and produce manpower for jobs that don’t even exist yet and those great minds that can solve the problems of the present and the future. Now this may seem a rather boring and even pointless place to begin. We’re expecting robots and artificial intelligence and yet here we are looking at how people bring their five year old laptops to university. Well, it’s not so much the technology here and the trend of people bringing their own devices to lecture halls and seminars, but the reaction to that by institutions. BYOD refers to the practice of students or employees bringing their own devices such as laptops, tablets, smartphones, etc. to their work or places of learning. Institutions are, as a result, implementing technologies and policy that facilitates more easily and effectively those devices’ use. From the perspectives of the students, there is the proliferation of smart devices. The great majority of students nowadays will be entering into higher education life with one or more of a smart phone, laptop or PC, and tablet devices. Students have the expectations now that they’ll be able to use these devices, which they’re already comfortable with, in the pursuance of their studies. Using their own devices gives learners a greater ownership over what they do and helps them personalise their learning. Facilitating the use of these devices from an institutional perspective has a great number of benefits. It’s a great deal more cost effective than supplying the devices for each and every student which need to be updated every few years as to not be obsolete and incompatible with the advancements in applications. There is also the fact that in being open to student’s use of their own devices, an institution is showing that it appreciates contemporary life and how people truly learn. So how are we seeing BYOD being implemented? Well, institutions are developing their IT infrastructure to deal with the requirements of giving all students access on their respective devices. Brunel University, for example, is partnering with Cisco to achieve this. Institutions are also creating safety policies to safeguard against cybercrime. Lebanon Valley College students, for instance, have to register their devices. As a result, the offending device can be identified and actions taken. BYOD can have a number of impacts. Perhaps one of the most important for a modern educational institution is that faculties are able to update content delivery and assess learning. When learners have access to the latest devices of their own, institutions can look at how best to deliver content, make it immediately accessible. This content can be updated whenever there are new breakthroughs as well. Moreover, learning analytics can be used to analyse students’ usage of particular materials to gauge their quality and the engagement levels of students. Quite simply, it provides very valuable data. 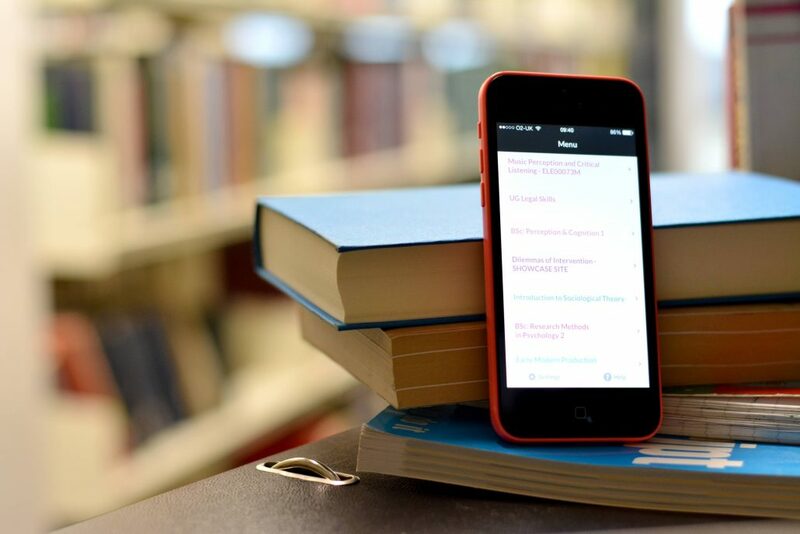 Students themselves can more efficiently access and consume digital materials. Approach them in ways that suit them and store them on their devices for easy access later. This could dramatically increase the time they have available to actually engage with those materials. Nevertheless, institutions have to ensure that their materials are viable for all types of devices. Materials would have to be responsive, as in the materials such as texts, images, and videos respond to the type of screen on which they are being viewed. Also, they must ensure that content is as accessible as possible for all learners with disabilities. As you can see, BYOD is a crucial policy for any institution to try and implement. Those institutions not implementing policies and providing the requisite infrastructure to facilitate the use of students’ own devices may find themselves falling well behind their rivals for the fees of the next generation of learners. In my next blog on the impact of new and emerging technologies on higher education, I’ll be looking at learning analytics and adaptive learning.